A development consulting company that specializes in geographic web sites. Past projects have included custom Google Maps applications. 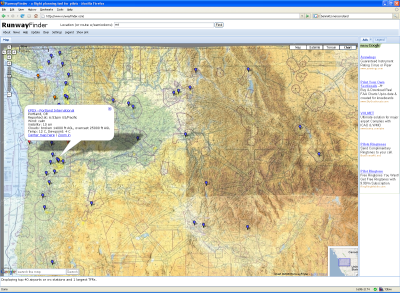 A pre-flight planning tool for general aviation pilots including aeronautical charts, current weather conditions, forecasts, and airport information. 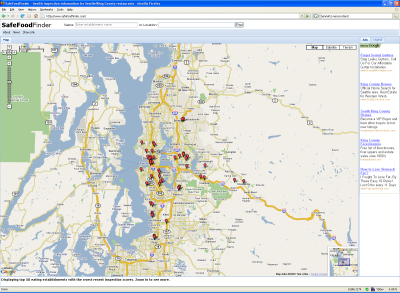 A map of health inspections for Seattle and King County food establishments.